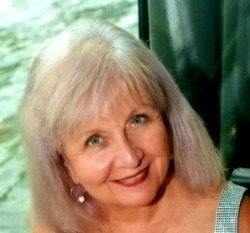 Gloria Coppola Spiritual Awakening Life Coach, Author, Motivational Speaker, Educator Gloria has had a courageous journey in life, and her unstoppable nature has opened doorways of spiritual opportunity. She desires to inspire others to live their soul purpose and reach their full potential. Her life’s work has been dedicated to teaching ancient wisdom, spiritual insights and teaching others (and herself) how to open their heart. Gloria is also a transformational retreat host and offers personal and group coaching programs. It is her desire and pleasure, after almost 40 years of studying and opening to a life of love, to share her journey, her tips, and resources through compassionate understanding. She knows that sometimes life has bumps, but if we pause and breathe, the miracles are waiting for us.